The Hempstead Town Board has unanimously approved a union representative as the newest member of the Hempstead Industrial Development Agency board and its local development corporation. 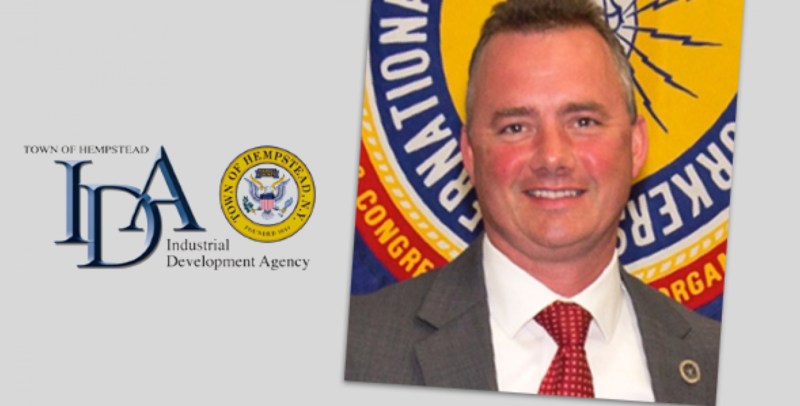 Jack Majkut, a member of IBEW Local 25, is the first labor union representative to serve on the Hempstead’s IDA Board, according to a town statement. Hempstead Supervisor Laura Gillen called Majkut “a dedicated professional” with 29 years of experience in the electrical industry. “It was imperative to give labor a voice and a seat at the IDA table,” Gillen said in the statement.